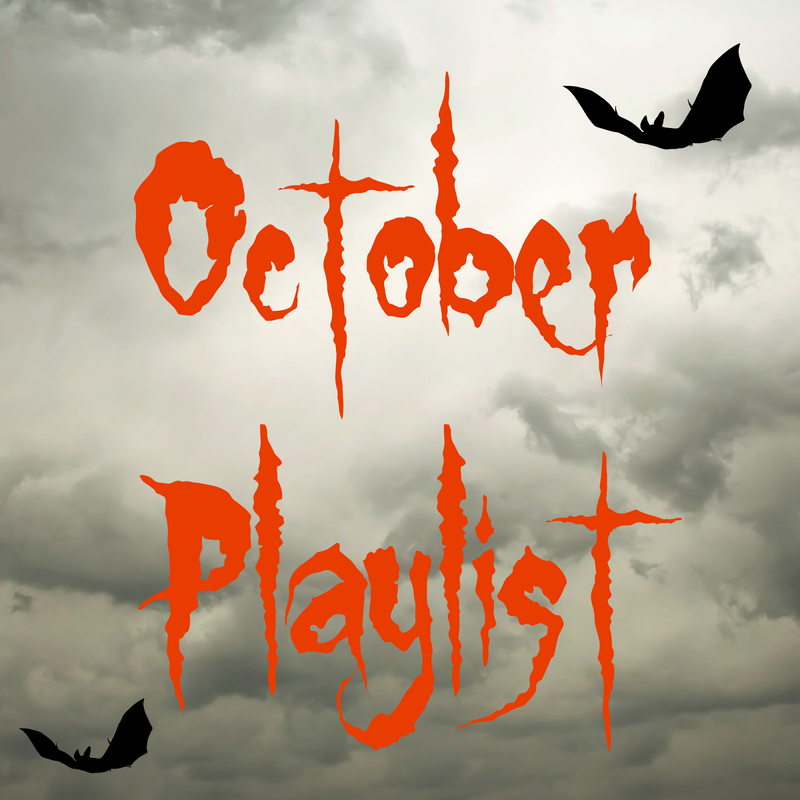 Got a playlist ... or you could say a few playlists for you today! This song came out a couple of days ago and the world seemed to go crazy! It's a very sad, catchy song. I found this playlist when I was searching for a song - it's seems to be a playlist of sad and love songs so my kinda playlist. Every morning when I come into work around the same time - the radio station playing in the warehouse plays this song and so it seems to be burned into my brain - it's a really catchy song and is from the film Dirty Dancing (which I've yet to watch - I know shock, shock, horror, horror). Once Upon a Time has recently started (the fourth episode is due out tomorrow in the UK (on Netflix)) and in one of the episodes Henry plays this song on his iPod and since then I've been listening to it on and off. It's another catchy song that sticks in your head. I was searching for the 'Belle' song from Beauty and the Beast and I found this 'Disney' playlist and I couldn't help myself - it has all the favourites from all the Disney films. Let me know in the comments what you've been listening to this month. It's been awhile but I have a LUSH haul for you today. Now I have to admit that I have been working crazy hours and completely forgot to buy some Halloween products from LUSH so when I remembered - they were nearly sold out of everything. This is one of my favourite items from the Halloween collection - mainly because it looks like a pumpkin and just screams 'Halloween'. This product is a 'bubble bar' - so you just run your bath and when its about half full you just crumble the pumpkin into the bath under the running water and it'll do the rest. The bath turns a lovely orange colour and has a slight shimmer as the entire pumpkin is coated in gold sparkly glitter. The 'Sparkly Pumpkin' has juniperberry oil which is great for balancing hair and skin, lime oil which is uplifting and protecting and grapefruit oil which is uplifting and refreshing. Bath bombs are one of my favourites - you just fill the bath and then just pop the bath bomb into the bath and let is explode and ooze its fizz all over the bath. The bath bomb is green to start off with and in the centre is a pink/red wine colour which releases when the water eats away the outer shell of the bomb. The 'Lord of Misrule' has patchouli oil which has an earthy and exotic aroma, black pepper oil which is warming and clarifying and fair trade vanilla absolute which has a sweet and comforting scent. Similar to the bath bomb the 'shower scream' is a shower cream version of the bath bomb. It also boasts the same ghouly green colour. Containing similar ingredients such as patchouli oil and black pepper oil which give the cream a earthy, herbal scent. There is also added fair trade vanilla absolute which gives the cream a nice sweet scent. Also the cream has organic wheatgerm oil which is high in vitamin E which promotes healthy skin, eyes and immune system. This is my first experience with a 'shower jelly' and I didn't know what to expect. As you can see above the jelly is in the shape of a bat (hence the name - nightwing). The product is just like a bar of soap - you hold it in your hand and rub it with some water from the shower/bath which creates soapy foam/suds and then wash with it. You can also (like soap) just rub it over your body too. 'Nightwing' contains lime oil which is uplighting and protecting and carrageenan extract which is moisturising and thickening. The shower jelly also reminds me of blackcurrant fruit pastilles and is a very sweet smell. That's all four ... look out for my Christmas post later on this month or next - I just placed the order now. I was looking for some soup the other day in Tesco and saw some protein bars by TREK (or Natural Balance Foods) and thought I'd try them out and see what they were like. Similar to Nákd (as it is the same company) many of the products are wheat, dairy and gluten free. The bars provide around 9-10g of protein and are vegan. The protein also helps to keep you fuller for longer and stop you snacking on unhealthy foods. I have to be honest - I'm a big banana bread fan - well anything baked and with a banana in it - and I'm sold. Banana is such a good ingredient and I loved it in this flapjack. I'm trying to find a good recipe for 'banana flapjacks' at the moment. This banana flapjack is very tasteful and you can taste the banana - its overpowering - but a good kind of overpowering. I was quite surprised when I opened the packaging as I thought it would be a chocolate flapjack and not a chocolate covered flapjack - anyhow this wasn't a bad thing. You can definitely taste the coconut and the chocolate topping is different and a change. Again another chocolate covered flapjack - which I started to enjoy ... I think it was because I wasn't used to them which is why I felt weird/odd when I first saw it. This one is very chocolatey and tasted really good. Everyone loves a simple flapjack! Plain and simple ... Somedays I love a 'plain day' and so this is a great flapjack. That's the four I tried ... let me know if you have ever tried this brand/make in the comments below. So it's nearly Halloween ... (and also pay-day) and so it's time for my yearly cake post. If I'm honest I nearly forgot about Halloween and was tossing various Christmas cake items into my basket until I saw the Halloween ones ... (I blame working too much - I don't even know what day it is). Anyway ... I chose 6 from Tesco that I could find - these were mostly all on special and cost me about £1 for each (so not bad). Very strong taste of lime ... I know they are 'chocolate and lime' flavoured but I found them to be slightly over-powering. The chocolate topping was rather thick and had an unusual taste but still nice. I have to admit the flavour does remind me of 'cinder toffee' - that bad that its making me want to go find/buy some cinder toffee! I wasn't expecting that consistency though - more a thin, caramel sauce. Very similar to the normal all year round item but they have little white stencils of bats, skulls and ghosts which give it the Halloween-ey theme. I love this version of the biscuit - as its more a digestive type rather than a shortbread type. I tried something similar to this from the Christmas line last year (think it was the gingerbread whirl) and it was amazing! This was great too - it's like a white vanilla buttercream and toffee sauce with two shortbread-type biscuits. These are a Halloween version of the normal 'fancies' that we have all year round - which to be honest I wasn't really a fan - they just are sickly and odd (yes weird opinion). These are much different - orange flavoured sponge (not too strong) but its green coloured - orange would have been cool too! Then a vanilla topping which is soft and creamy and then wrapped in black fondant icing - YUM! A nice change from the normal mini roll we have all year round. I remember 'jaffa cakes' brought out a blackcurrant and lime version and I enjoyed it. This flavour always reminds me of the blackcurrant fruit pastille or the blackcurrant diluting juice my mum used to give me. That's all the Halloween-type cakes I tried this year. Hope you enjoyed the post!! It was great to make ... as I got to eat lots of cakes! So I was tagged in a tag post by another blogger - Luke. 1. What weird nickname does your family call you? My mum used to call me 'Johnny Bravo' after the cartoon character. I also recall her and my granny call me Jonathon too (but my name is John). 2. What is your weird habit? Not really weird but I chew my nails constantly - been trying to stop for years. 3. What is your phobia? I hate spiders - they freak me out! If I see one ... it dies! Also enclosed spaces really panic me too. 4. What is one song you like to sing when you are alone? I will have to copy Luke here - I love 'Breakaway' by Kelly Clarkson ... as it sums up my life pretty well. When I am talking to someone about something and someone interrupts and doesn't wait for me to finish my conversation with the other person. 6. What is your nervous habit? I talk really fast ... I think subconsciously that if I talk faster people will understand or it will just make sense to them ... when normally 90% of the time they have no clue what I'm talking about. The further away from the door side - so in case anyone breaks in ... Dave will be the first to perish. I had a squirrel and it was called 'Squirrel' - I think its still somewhere in my parents attic. 9. What drink do you order at Starbucks? Well funnily enough I work in their warehouse ... and so I get as much Starbucks as I want here ... so I rarely go to the stores. At the moment its PSL (Pumpkin Spice Lattes). 10. What beauty regime do you preach but don't practice? Sometime (not all the time) I'm in a rush and don't moisturise in the morning when I'm getting ready. But if it's a decision of being paid or moisturising ... I'm sure you'd all choose the 'being paid' option. The normal way ... is there a wrong and right way?? I face outwards with the shower spraying down on the back of my head. 13. What is your favourite comfort food that isn't good for you? 14. What phrase do you always say? I'm actually going to kill you ... or normally some random woman is dead from our accounts payable dept. 15. It's time to sleep ... what are you wearing? Depends ... during the Summer probably nothing as its too warm and in the Winter - boxers and a t-shirt probably. That's all the questions ... 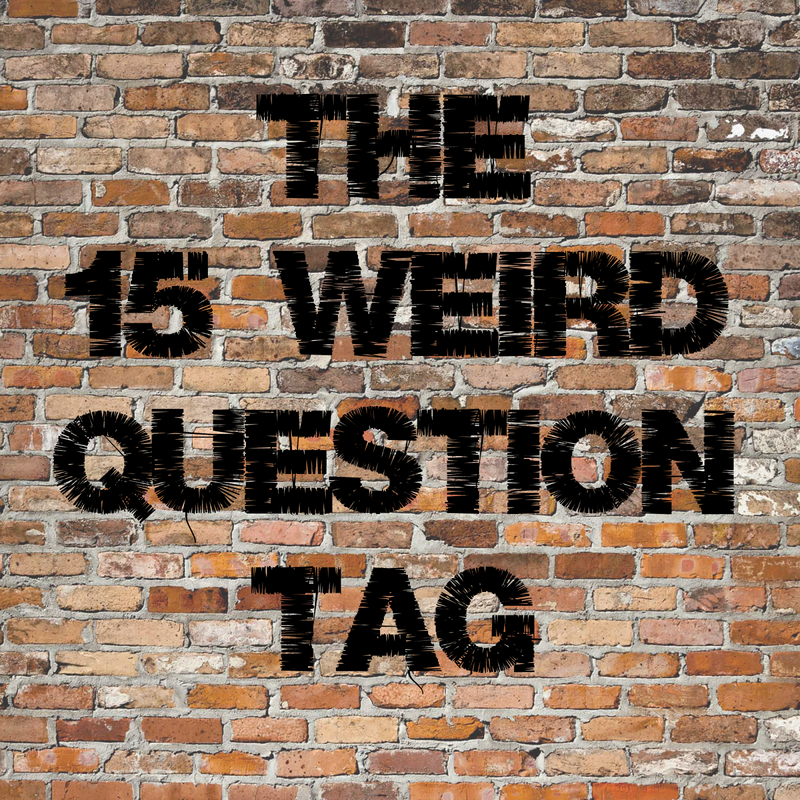 I won't tag anyone ... but feel free to do the tag if you haven't already. Let me know in the comments if you have done it too so I can check it out!!! One of my favourite childhood memories is my family barbecues - every year around August my parents would host a barbecue which coincided with an event in my hometown called 'Gala Day' - this was a day filled with floats (people doing weird things on the back of a trailer), events like tug-a-war, bouncy castles, sheep shaving and the like. My mum would invite all our family and close friends and put on a big spread! I mean a massive buffet of sausage rolls, cheese & onion rolls, sandwiches, chicken (all kinds - thigh, breast, wings), sausages, homemade potato salad and coleslaw, alcohol (obviously) and lots more that I'm struggling to think about. The main source of food was the barbecue which my dad looked after ... he could cook everything to perfection. Anyway enough about the past ... a few months ago - I was contacted by Mill Race Garden Centre and asked if I wanted to purchase something of my choice - and who could say 'no' to that?! Now I've never owned a barbecue - I've been to barbecues at my parents (obviously) and to friends but never had my own. So I decided after much debate to get a barbecue! I opted for the smaller range of barbecues because I planned to only cook for a couple of friends and myself - nothing crazy big! For those that are interested - the barbecue is of steel construction and has a roasting lid for slow cooking and roasting, there is also an ash collecting tray underneath and 2 weather resistant wheels. It was very easy to assemble and took up about 10 minutes to build it. So I wanted to cook something fast and easy and not too messy as to not mess up the barbecue on it's first run so I opted for my favourite sausages - cos who doesn't love a good sausage sarnie!?! So a good barbecue starts with a good base ... so I got Dave (my unsuspecting boyfriend) to deal with that ... so we used chunky charcoal and some fire lighters and left that to burn away until the charcoals were ready. I decided to go with 'Richmond's Irish Sausages' these are my favourites and I've eaten them for years now. I'd never eat anything else but these. So we popped them on the barbecue (we put the top grate back on once the charcoals have calmed down). We decided to go with finger rolls - as these work best with sausages. We purchased these from Tesco - the white rolls were £1 and you got 8, and the wholemeal sub-rolls were 80p for 4. The Richmond Irish Sausages were £2 (special deal). So I just wanted to take this opportunity to thank Mill Race Garden Centre for providing the funds for me to purchase the barbecue. You can check them out HERE. If you want to check out their range of barbecues - you can check that section of their website out HERE. Let me know if the comments if you've recently had a barbecue?